"The Year could play a crucial role, inter alia, in raising public awareness of the importance of astronomy and basic sciences for sustainable development, promoting access to the universal knowledge of fundamental science through the excitement generated by the subject of astronomy, supporting formal and informal science education in schools as well as through science centres and museums and other relevant means, stimulating a long-term increase in student enrolment in the fields of science and technology, and supporting scientific literacy". 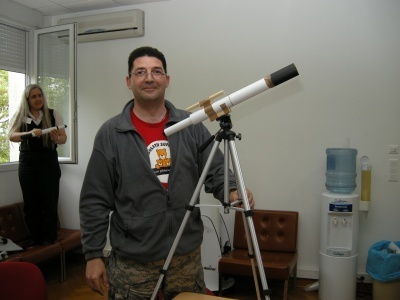 Day sessions were devoted to training for teachers, so that they can challenge their schools pupils through astronomy and the use of new technologies: remote observations using internet, 10€ kit-model telescope to build in the class-room, real images from space telescopes to unveil new planets, Moon pictures to measure crater size, etc. Several talks (to be downloaded in this site) allowed understanding better the fundamentals of astronomy. The sessions rely on the pedagogical resources that are all freely accessible through our dedicated websites. Using these creative exercises, the secondary school teachers will thus bring more pupils towards science and the scientific method. The objective is to form open-minded pupils able to think by themselves. 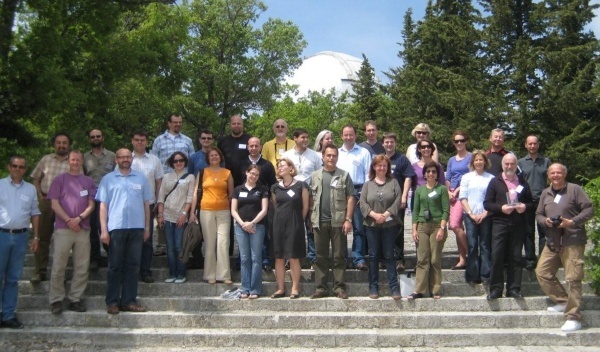 Teachers have been coming from 15 European countries and worked altogether in a great collaboration spirit: Austria, Belgium, Cyprus, Czech Republic, France, Greece, Ireland, Italy, Poland, Portugal, North Ireland, Romania, Slovenia, Spain, United Kingdom. 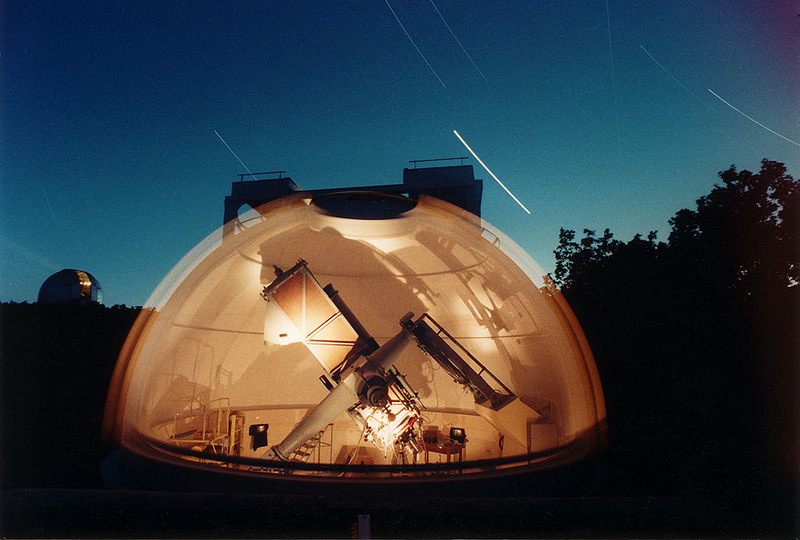 At night, while weather was quite not clear, participants could observe the Moon and Saturn with an old but professional 80cm telescope. 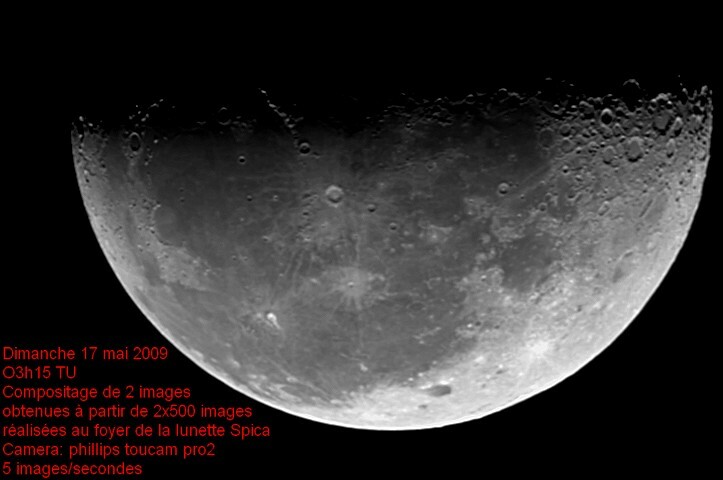 Using archive images, teachers could learn how to track remote asteroids and discover them among tens of stars in a picture... One of the teachers could take this beautiful picture of the Moon using the 10€ kit-model telescope and a webcam, modified as explained in the EU-HOU website. These enthusiastic teachers raised this really special European atmosphere. They left back to their home countries wiling to share their new skills with other colleagues and, of course, their pupils! All participants warmly thank the European Commission and the Lifelong Learning Programme for supporting these activities, in keeping with the general goal of renewing the teaching of science!